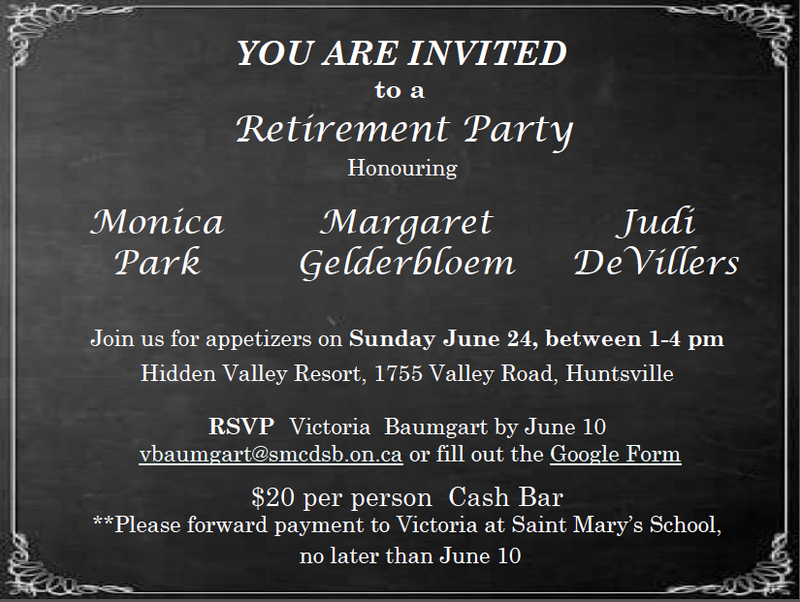 The students, staff and families of Saint Mary’s School will soon be saying a bittersweet “farewell” to Mrs.Park, Mrs. Gelderbloem and Mrs. DeVillers as they will be retiring from teaching at the end of the school year. These fine teachers have served the Saint Mary School community well! We wish them all the best in their retirement. A celebration is being planned for Sunday June 24, 2018. Please see the invitation below for all the details.